Staff was great both in hotel and restaurant. Would stay here again when in area. The fact that you can sled right from the hotel is pretty cool! Where can I find hotels in Avola that are near tourist attractions? Expedia's comprehensive accommodation booking platform features 3 hotels within a 0.1-kilometre (0.06-mile) radius of Avola. 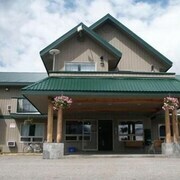 The closest Expedia hotel is the Sandman Inn Blue River, British Columbia, located 30 kilometres (18 miles) from the heart of Avola. Another handy option is the Glacier Mountain Lodge, situated in British Columbia, 30 kilometres (18 miles) from the heart of Avola. 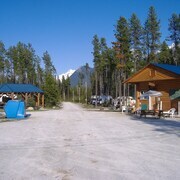 30 kilometres (18 miles) away from the heart of Avola, is the Blue River Cabins Campground & RV Park. After you have seen Avola, why not take the time to discover the many other delights of the Thompson Okanagan area. Investigate Thompson Okanagan's old towns or admire the area's rural landscapes, beaches and forests. In this region of Canada tourists might partake in snowboarding and skiing. Barriere is 95 kilometres (59 miles) to the southwest of Avola and is home to the Chinook Cove Golf Course and North Thompson Museum. 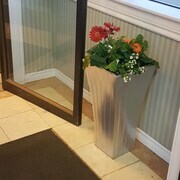 Barriere accommodation options are the Knights Inn Barriere and Monte Carlo Motel. Or, you could consider staying in Clearwater, 55 kilometres (35 miles) to the southwest of Avola, where you can pick from the Clearwater Valley Resort and KOA Campground and Riverside Adventures Vacation Rentals. The Wells Gray Adventures and Wells Gray Information Center are a couple of the most popular sites to explore while in Clearwater. If watching sport is your passion, make the time to visit North Thompson Sportsplex, which is 55 kilometres (35 miles) to the southwest of Avola. Stay near the action at the Riverside Adventures Guest House or the Clearwater Lodge. Avola is blessed with some great attractions; discover more by spending a little time at Expedia's up-to-date Avola travel guide. Are there hotels in other cities near Avola? What other types of accommodations are available in Avola? Explore Avola with Expedia.ca’s Travel Guides to find the best flights, cars, holiday packages and more!